They were the first Indian women to win a medal at the Commonwealth Games during the 1978 edition in Edmonton, Canada. 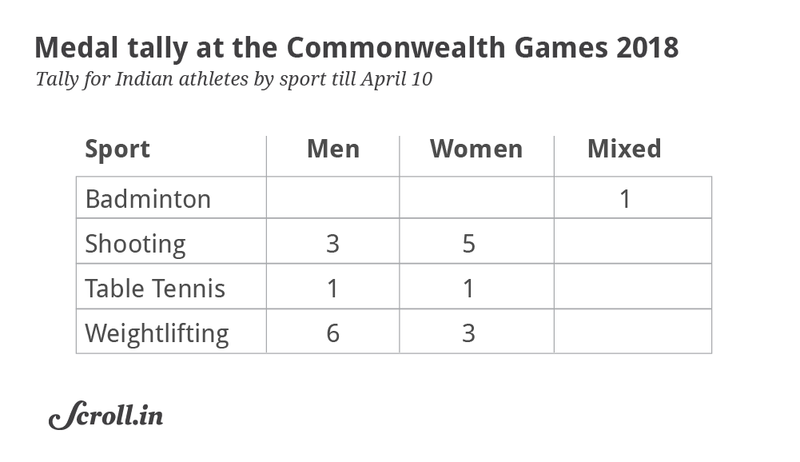 India’s women are having ball at the 2018 Commonwealth Games Down Under, bagging over half of the gold medals India have won, including a few historic firsts. Back home in India, two women in their early 60s, who now live over 1,600 km apart, have been following the results with much interest and are probably happy that they played a crucial part in this progress exactly 40 years ago. 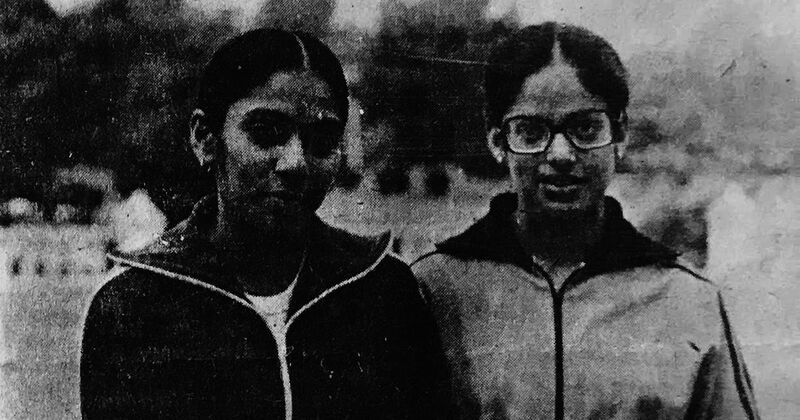 Ami Ghia and Kanwal Thakar Singh became the first Indian women to win a medal at Commonwealth Games during the 1978 edition in Edmonton, Canada, when they bagged the women’s doubles bronze in badminton. The 1978 edition is mainly remembered for Prakash Padukone’s gold medal-winning run in men’s singles. Though both of them don’t really remember how that campaign exactly went, a vivid memory is how it was a bit unnerving to be part of a contingent. “In the whole contingent we were the only two women with about 40-odd men. There used to be many women members in the Asian Games contingent but somehow we were the only two women sent for the Commonwealth Games,” Kanwal Thakar Singh recalls. In fact, the only time women had represented India in the Commonwealth Games before 1978 was back in 1958 when Stephanie D’Souza, the first Indian woman to be awarded the Arjuna Award, and Elizabeth Davenport had participated in the track and field events. Buoyed by the Ami-Kanwal team’s success, India sent a slightly bigger badminton squad and even a few swimmers and one women athlete to the 1982 Games and over the years the women have had a sizeable presence in the Indian contingent. But not many would have given the two women a chance to go deep into the draw with the shuttlers from England, Canada and Malaysia dominating the circuit. Things went along expected lines with Kanwal Thakur managing to reach the third round, while Ghia lost early against a Malaysian opponent. But they turned things around in the doubles event, upsetting singles champion Sylvia Ng and Katherine Swee Phek Teh of Malaysia in the quarter-finals in three games. Though they lost to eventual champions Nora Perry-Anne Statt, they came back strong to upset England’s doubles specialist Jane Webster, the 1980 women’s world champion, and Barbara Sutton in the bronze medal play-off. The performance was also special because it was predominantly a scratch pair as they normally played with different partners on the domestic circuit, but the coaching staff decided to pick the two after a few weeks at the national camp as they were also good singles players. Kanwal admitted they didn’t go with any expectation into the tournament, but insisted that they always believed in giving their best whenever they took the court. “The real challenge during that time was that we would get to play on synthetic courts only in major tournaments and we used to struggle because our feet used to get stuck sometimes. “Though me and Ami didn’t play much together before the Games, we were good friends and used to play well together,” said the 63-year-old, who is also the only Indian woman to win an individual medal in badminton at the Asian Games so far. She and Leroy D’Sa bagged the mixed doubles bronze in the 1982 Asian Games in New Delhi. Ghia was known for her quality strokes, while her partner was an aggressive player with a strong hit, and the combination worked wonderfully well in the matches they won. “It was a special medal for us because we would hardly get to play many international events and so the exposure was not that much. But before the Commonwealth Games, I got to play in a couple of international events and that helped in Edmonton,” Ghia told The Field at her residence in Mumbai. 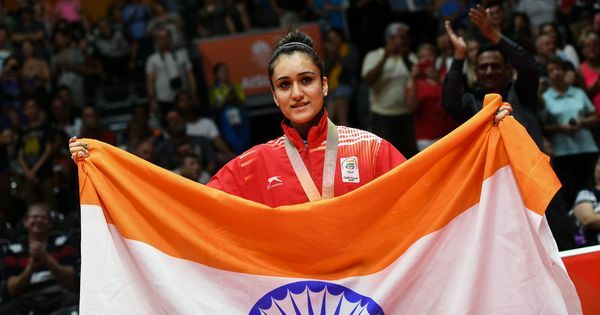 “We were outplayed by Nora Perry and her partner in the semis but we told ourselves that we will give our all in the bronze medal match and we could win a medal for the country,” said Ghia, who later rose to a career high ranking of seventh in World Grand Prix circuit and had the distinction of being the youngest captain of the Uber Cup team till Saina Nehwal began shouldering that responsibility about a decade earlier. It took 32 years for another women’s doubles pair from India to win a medal in the competition. Jwala Gutta and Ashwini Ponnappa bagged the historic gold in the 2010 Games in New Delhi and followed up with a silver winning performance in Glasgow four years later. The 2010 Games remain the most successful campaign for Indian shuttlers with Saina Nehwal also winning a gold and the mixed team reaching the final for the first time. The shuttlers are expected to surpass that success story in Gold Coast. They have already bagged the first mixed-team gold, and India is expected to win at least one medal in each of the five individual categories. While Kanwal Thakar Singh hasn’t followed the journey of these Indian shuttlers much as she moved to US soon after her marriage in 1984 and just recently moved back to Chandigarh, Ghia was the national selector for a long time and closely follows the progress of most of the current players. “India is a superpower in world badminton now with the likes of Saina, Sindhu, Srikanth and many others winning consistently. But I am happy that we contributed in the journey in some way,” Ghia adds.